Hang around Sarah, and immediately you realize that she is not your typical 25 year old. 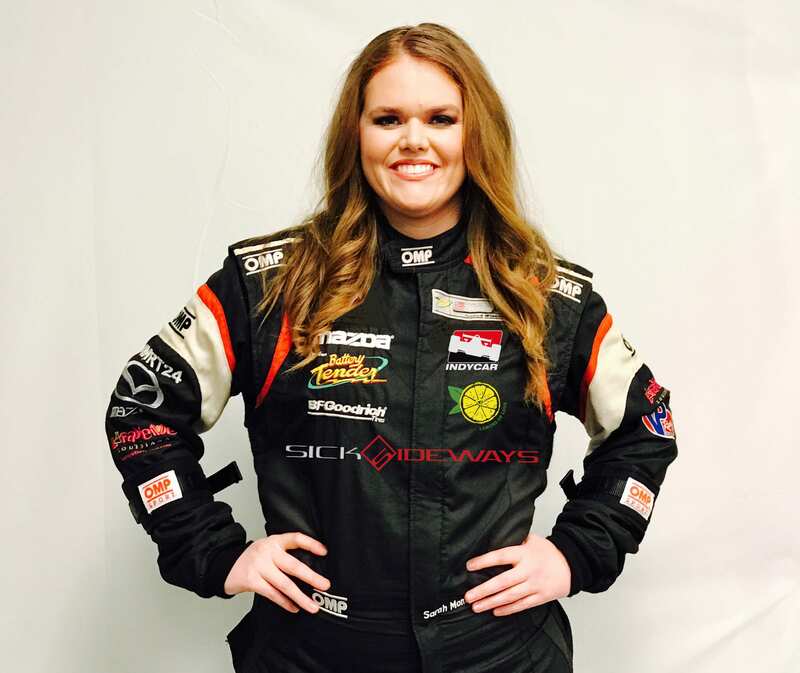 As a matter of fact, being a female race car driver is just one things that makes her unique. Another is her personality, one that Bob Varsha from the SPEED Network says “absolutely lights up a room.” Still, to fully realize just the type of person you are dealing with, here are just some of her accomplishments. Head Drum Major and student Leader of the Lafayette High School Marching Band. The largest High School Band in Louisiana and one of the most decorated in the country. 2018, signed with Sick Sideways to compete in the 25 Hours of Thunderhill with Shift Up Now. Hang around Sarah, and immediately you realize that she is not your typical 25 year old. As a matter of fact, being a female race car driver is just one thing that makes her unique. Another is her personality, one that Bob Varsha from the SPEED Network says “absolutely lights up a room”.